Kennebunk police are on the lookout for a wild turkey after a "break-in" on Wednesday. 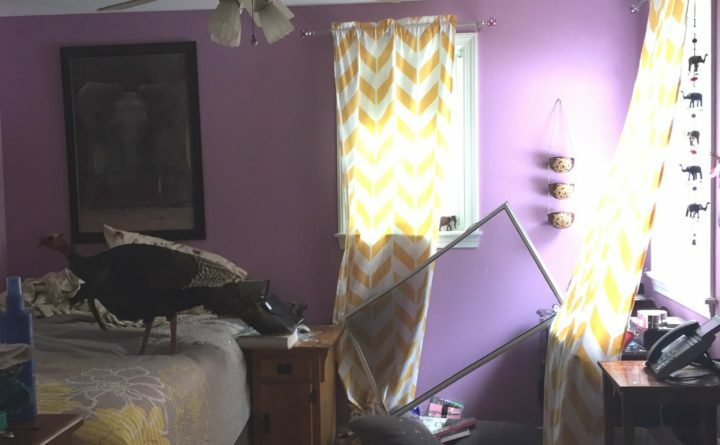 A wild turkey broke into a Kennebunk home through a window on Wednesday, prompting a call to the cops. 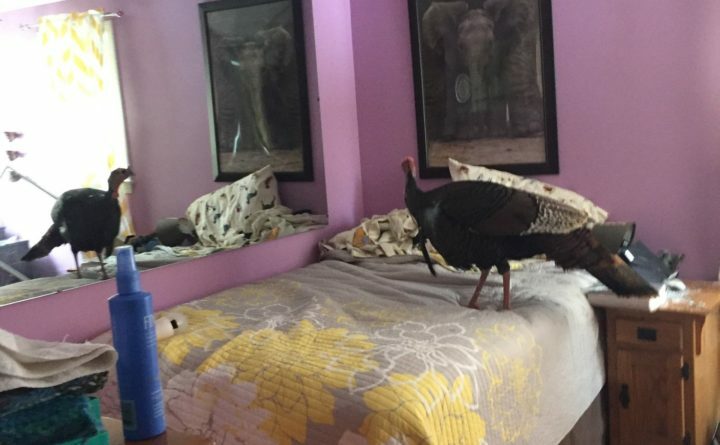 “This morning, officers responded to a suspicious incident in town,” the department wrote on its Facebook page, where they attached photos of a turkey that had “forcibly entered the house” through a bedroom window. Glass shards and a broken screen lay on the floor beside the busted window, the photos show, while the turkey stands on the bed, gazing at itself in a mirror.